Both the Girls and Boys teams competed at the swimming Regional State Qualifier meet at the Josh Davis Natatorium in San Antonio on January 24. The girls team of 13 took the lead after the first event and never looked back winning the regional meet and qualifying 10 swimmers to go on to state. Out of the 3 regional qualifier meets held in Texas, they now have 17 qualified swims entered for the state meet tying Houston Second Baptist for the most number of entries. The boys team of only 10 managed to climb their way up to an impressive second place finish behind regional and state rival TMI. The boys qualified 9 boys in 18 swims for state just behind TMI with 20 swims. The stage is now set for both the girls and boys 2017 State Champion swimming teams to attend the 2018 State Championship meet February 8th in Mansfield. 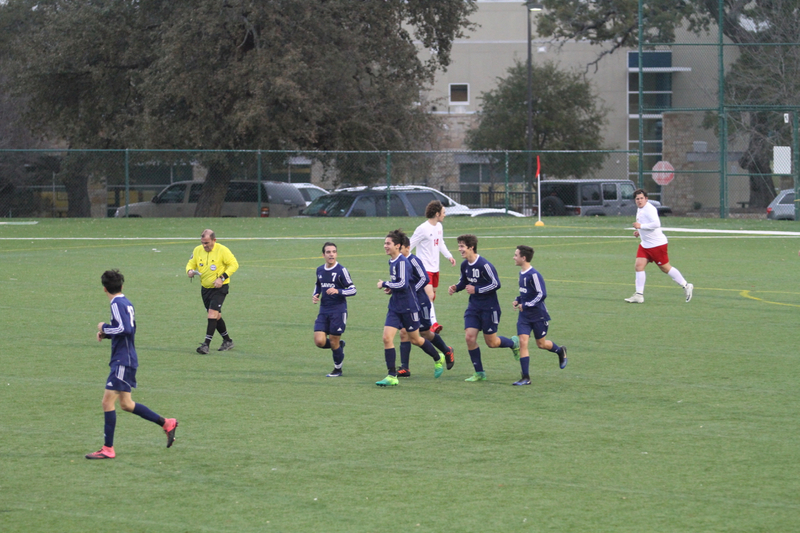 The Savio Boys soccer team beat Hyde Park 2-0 on Friday to move back into first place in district play. Brendan Mazzurana opened the scoring off a pass from Chris Gonzalez, and then Freshman Sebastian Martinez scored from Joseph Figliozzi. Goalie Seth Arizola and the Savio defense notched their second shutout in a row. Savio closes out district play at St. Michael's on Friday at 5pm. 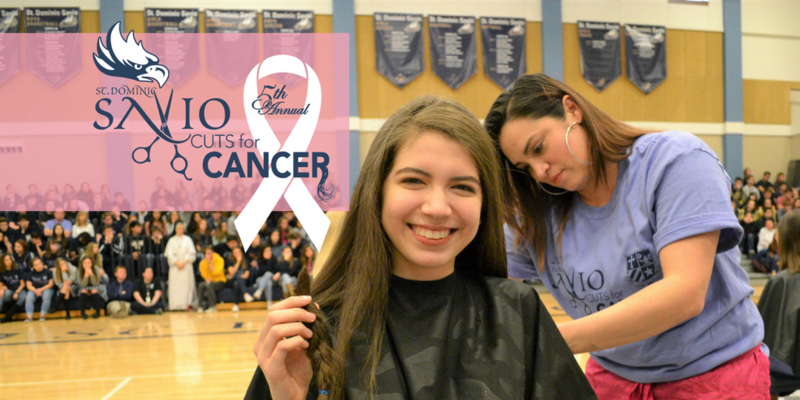 The Savio Cheerleaders will be hosting the 5th Annual Savio Cuts for Cancer on February 9, 2018, 2:30 pm. Savio Cuts for Cancer was started five years ago by a Savio Alumni to honor the mother of her best friend, Ms. Thea Williams. 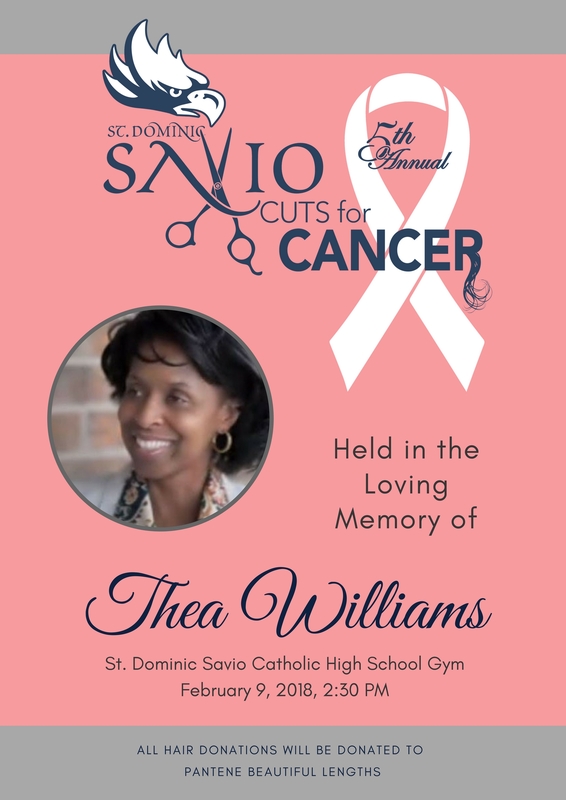 This year, St. Dominic Savio is honoring the memory of Ms. Thea Williams on the 5th Cuts for Cancer event for the second time. This event will allow for anyone to cut a minimum of 8 inches of hair to donate to Pantene Beautiful Lengths. All ponytail donations collected during the event, will help make wigs for those who have lost their hair, while battling cancer. In addition to the ponytail donations, monetary donations will be collected and sent to St. Jude’s Children’s Research Hospital. You can support the event by purchasing a special 5th-anniversary t-shirt or by becoming an event sponsor. All purchases will be accepted by January 23rd. If you are interested in donating your hair, please contact the Athletic Director, Ms. Crystal Clark at cclark@saviochs.org, by January 23rd. If you are interested in purchasing an event t-shirt visit the link to order by January 23rd. Thea was a strong believer in education and she worked tirelessly to ensure that her children, and others' children, received the best education possible through her work as an educator, journalist and mentor. Thea was gregarious and fun-loving, and "to know her was to love her." She was a devoted mother, a beloved daughter, a loving sister, a favorite niece, and a special friend to many. She will always be remembered for her unwavering faith in God, her smile, and her robust laughter. On September 29, 2010, after a courageous battle with cancer, Thea's journey on this earth came to an end and she went on to begin her new life with her Heavenly Father. Due to inclement weather conditions, all St. Dominic Savio classes and activities are cancelled for Tuesday, January 16th. Please assume that school will be open on Wednesday unless another notification is sent. As always, we follow the decisions of Round Rock ISD, but families are advised to pay special attention to their local conditions in order to determine if it is safe to travel. 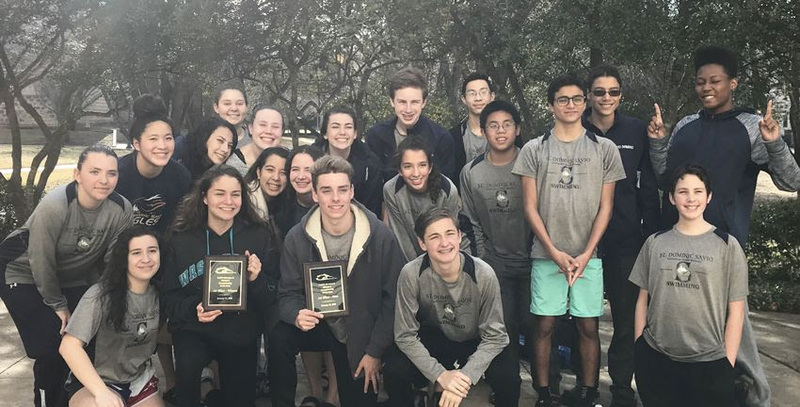 St. Dominic Savio CHS hosted the 2018 TAPPS District Championship meet at Southwestern University in Georgetown on Wednesday, January 10th. There were 11 other teams competing at the meet. The boys and girls teams were able to score enough points at the top and in depth to duplicate last year's results with a repeat first place finish at district. This was a critical first step in getting ready for the regional state qualifier in San Antonio in just two weeks. Congratulations to all! The first computer science tournament of 2018 was held at Indeed Software in Austin, co-hosted by the Liberal Arts and Science Academy (LASA) high school. Over 130 students competed with teams from Houston and San Antonio. The UIL 4A State champion attended as well as all of the top Austin schools. 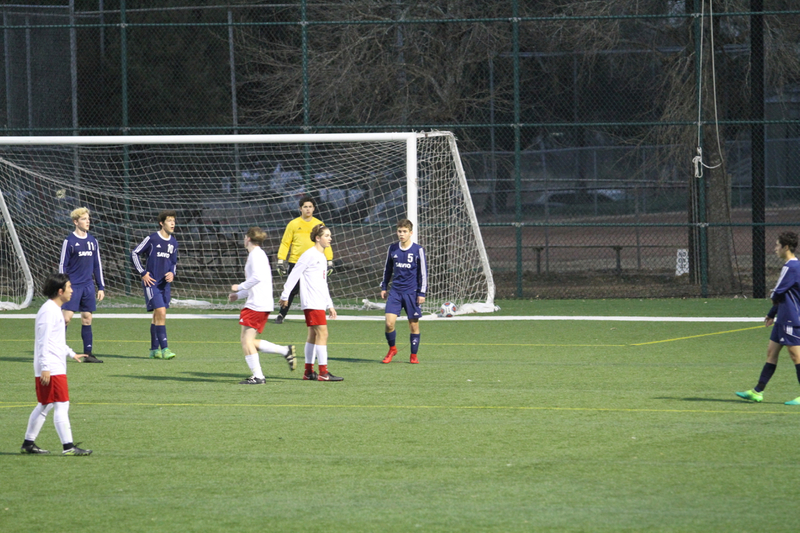 The Savio tournament team was represented by Michael McCuskey, Matthew Meskill, and Jonathan Shoemaker this weekend. Each team consisted of three students, who took individual written tests, followed by a programming contest in which all three students tried to solve a set of twelve problems in under two hours. After the written exam, Savio placed sixth, needing a strong performance in the programming round in order to place further in the tournament. Savio managed to solve 11 out of the 12 problems, coming closest to Westwood High School who solved nine problems, and no other school managing more than six. These results named Savio the tournament champions, edging out all other teams in the overall competition. Congratulations to the Savio team on their hard work and dedication!